Just back from a splendid weekend in Edinburgh (thanks to Andy and Ralph and Nick and all the other great guys who came along to the Edinburgh Toy & Comic Mart to say hi) and, with little or no chance to draw breath, I’m off again, to Wales Con, which takes place on Sunday April 28th, in Wrexham (in Wales, naturally). A good chunk of the Regeneration One team will be there (myself, Andrew Wildman, John-Paul Bove) to sign stuff, and I’ll have my usual exclusive script/comic packs, original scripts and comics for sale (all signed). And… I’ll have sneak peeks of some upcoming RG1 covers (including a simply amazing Senior incentive cover for #92!) and a teaser of Guido Guidi’s interior art for #93 (his first issue). Last year’s event was incredibly full on, so make sure you’ve got advance tickets for this event. There’s an unbelievable guest list, which (above and beyond the comics people) includes stars of big and small screen. 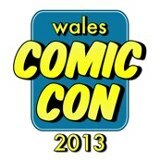 For more information on Wales Con, check out their official site here. In a little over a week, I’ll be heading north of the border for the Edinburgh Toy & Comic Mart. This special one-day event spans pretty much the whole of Saturday April 20th, and includes on its guest-list (other than me) the likes of John-Paul Bove (colourist extraordinaire on Transformers Regeneration One) and writer Ferg Handley (my co-collaborator on the special Hulk vs Death’s Head story a short while back). I’ll be there with my usual assemblage of signed scripts, signed comics and signed script/comic packs, and just generally available to sign whatever’s stuck under my nose. Expect also some teasers and exclusive sneak peeks at what’s coming up in Regeneration One. Might even blow your mind with a teaser of Guido Guidi’s amazing interior art for #93. Boy, are you in for a treat there! For more details of the Edinburgh Toy & Comic Mart, check out their website here. 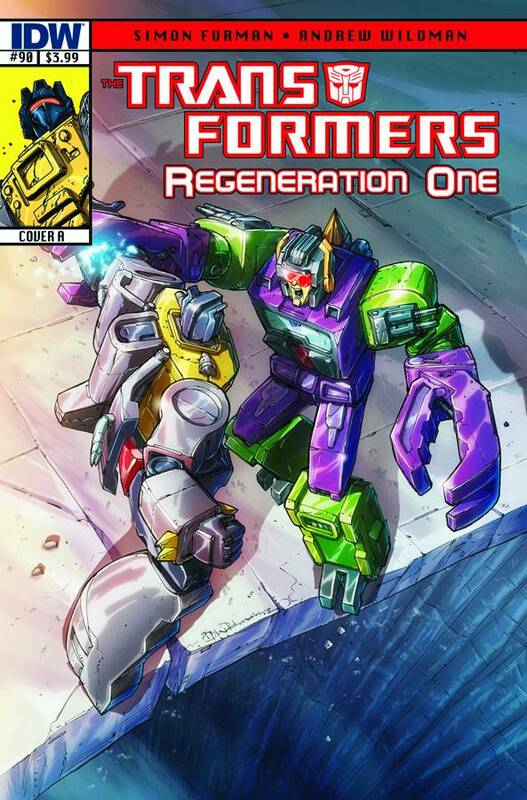 Out this week (April 10th), the rip-roaring conclusion of ‘Natural Selection’, the second searing story arc of Transformers: Regeneration One. We’re midway though, halfway to #100… already! How’d that happen? Yep, RG1 issue #90 hits stores this week, and as is standard here’s my post-script musings on the issue, avoiding anything too spoilery… but of course it contains a certain amount of stuff you may or may not want to read at this stage, so you have been warned. Right then, get ready for a truly packed issue, with pretty much wall-to-wall action (on various fronts, levels and depths of Cybertron… and Earth!). The main thrust of the issue is, of course, the final showdown between Grimlock and Scorponok, which plays out rather tantalizingly above the Sonic Canyons, as Scorponok prepares to fire his monster-sized Gene Key, converting (en masse) every right-minded Autobot or Cybertronian citizen on the planet, freeing their inner beast. Could it happen? Could the entire planet soon be ripe for true, unchallenged Decepticon rule? Not if Grimlock’s got any say in the matter, but at this stage, what can he do? We all know he’s not as dumb as he makes out, but does he really have a last minute, game-changing strategy of his own, or it all just a doomed tilt at an already lost cause. Whatever happens, the reverberations from Scorponok’s dark reign will continue right to the very end of RG1. What else? Well, there’s Ultra Magnus and the Autobots returning from Earth, blissfully unaware that they’re headed into a firestorm of their own, there’s Hot Rod at the core of Cybertron, discovering things he’d rather not have known about their creator, Primus, and Optimus Prime, on a collision course with future Decepticon Galvatron. Or not. Trust me, after this one, nothing will ever be the same again… for anyone! You can view the official IDW preview of the issue here. You are currently browsing the simon furman blog archives for April, 2013.